8 and 9 July a weekend to remember. Once a year the mini7 racing club try’s to run an overseas championship round. In the early 90’s Spa Belgium was the venue to do. 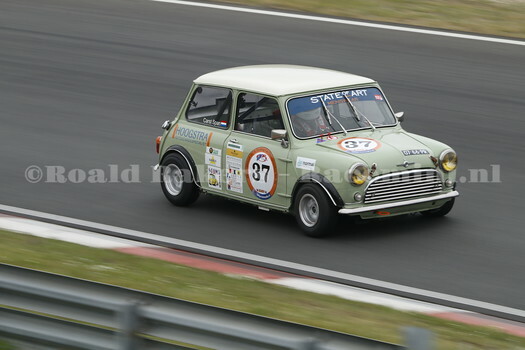 But since a few years Zandvoort is in favor for the mini7 racing club. 7 July was a testing day for the mini 7 racing club. For some drivers a new experience for others getting on to pace for the 2 races on Saturday and Sunday. Already in the story of Graham Strugnell I tolld you I followed rallycross in the early day’s. Well early it was as I had the age of around 8. 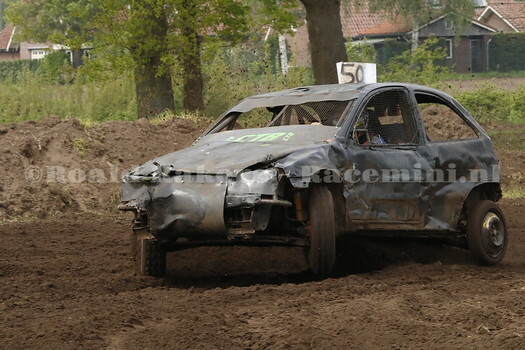 We visited some rallycross races in Valkenswaard. And as a kid I already liked the mini’s go as fast as they can go. 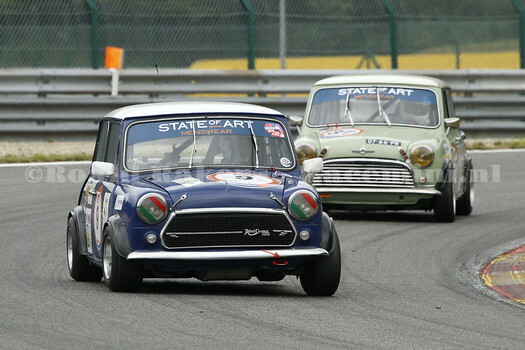 But in one of these races my eye got caught on some purple mini’s, don’t know why but they did. It was early saturday morning. Long drive to Circuit Spa. I had a good companion for the trip. So it wasn’t a boring trip. My longtime mate Willem wanted to go also to Spa. So better together then alone. We were early at Spa. Nearly everything was quiet. Well that clanged in coming hours. Son the first races started. We missed out on the first race where a MKII morris mini raced. Paul Engel and Carst Span battled in the first few laps. Already for a long time I have enclosed the mini into my live. As a young kid I’ve seen rallycross and other races were mini’s race. Later I started my own racing career as a slalom driver. Building and racing my own mini. Around 2000 I came with the idea of looking for the drivers from the past. First it started just with photo’s, but later also trying to meet the drivers. One of these encounters is this all about. Well it was a hectic week. Was trying to get media accreditation for a race event at TT circuit Assen. It was not easy to do so. I had some great help to do the right things and send the right papers to media center at Assen. But it took till last day I was allowed to get a mediapass. But happy in the end. So 09-06-2018 was my day to get some great photo’s and of course a close view to the races. The morning was filled with qualifying. All the cars of the NK GTTC got out early in the morning to get the fastest time. Eric Holhausen was very quick in his BMW Batmobile. But in the middle the battle off the britisch was in full swing. Rodger Ebdon was on top of this group of great britisch cars. 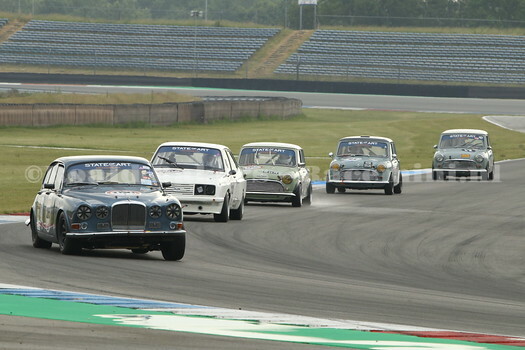 4 mini’s and 2 Jaguars where racing for best spot. Mini racing in the Netherlands is getting bigger and bigger. For many years Klaas Span entered a mini in different classes. But now his 2 sons Timo and Carst are running team Miniminded. 3 stunning cars racing the last few years. What this team makes so special ? Well they not only race their own mini’s but do help other miniracers racing and running their cars on the circuit. 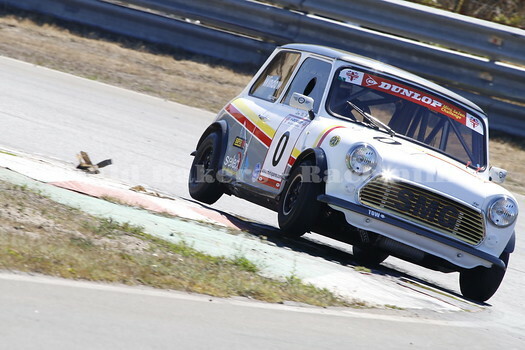 Paul Engel running a very nice Mini Innocenti Cooper. And Rodger Ebdon races his MK1 mini. Great to see them help eachother to get quicker laptimes. Well it took a little while to get grips on the changes to the website. Some things need still to change, but I’m getting there. Been busy last few weeks. Lot’s of action on different tracks. From Rodeo to circuit racing. 21-1-2018 was a great day to do some photography. It started cold but the sun came out and made it a very nice day. In my hometown Almelo was a running event. I had to bring my camera and made some great photo’s of the runners. They run 2 , 4, 6 and 10km. The kids run 2km. Welcome to my changed site. Due to some changes of my old website I had to start this new one. More photo’s and more update’s on people I met last few years and coming years. So sometimes the blog will be a flash back in history and a look into the future? I hope you like the update’s and will follow me in the future. Problems with ordering photo’s? just send and email. Great you visit my blog and website. take a look around. If there is something you like to know or something is wrong on the site, just contact me.